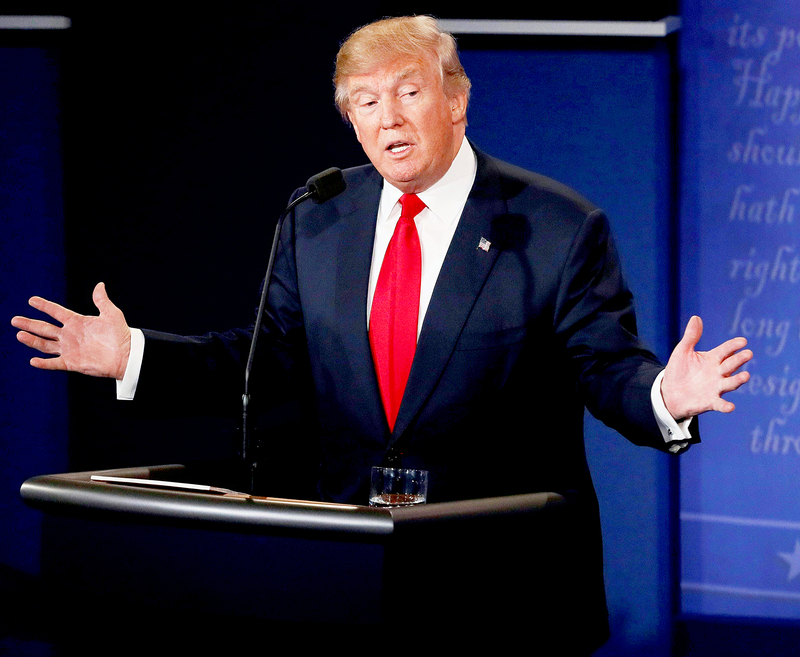 Donald Trump claimed that "no one has more respect for women" than he does when asked about the numerous sexual misconduct allegations against him during the final presidential debate in Las Vegas on Wednesday, October 19. Trump responded by stating that the "stories have been largely debunked" and that he doesn&apos;t "know those people" who have come forward with allegations. He also suggested that his Democratic opponent, Hillary Clinton, might have been to blame. "I have a feeling how they came. I believe it was her campaign that did it," Trump said, referring to Clinton, before then insinuating that the former secretary of state was also responsible for the violence that occurred at his various rallies. "She&apos;s the one and [President Barack] Obama that caused the violence. They hired people, they paid them $1,500 and they&apos;re on tape saying, &apos;Be violent, cause fights, do bad things.&apos; I would say the only way — because those stories are all totally false, I have to say that," he told Wallace. "And I didn&apos;t even apologize to my wife who is sitting right here, because I didn&apos;t do anything. I didn&apos;t know any of these women. I didn&apos;t see these women. These women — the woman on the plane, I think they want either fame or her campaign did it." Clinton then reiterated some of the things Trump has said about women, including his fat-shaming comments about former Miss Universe Alicia Machado. 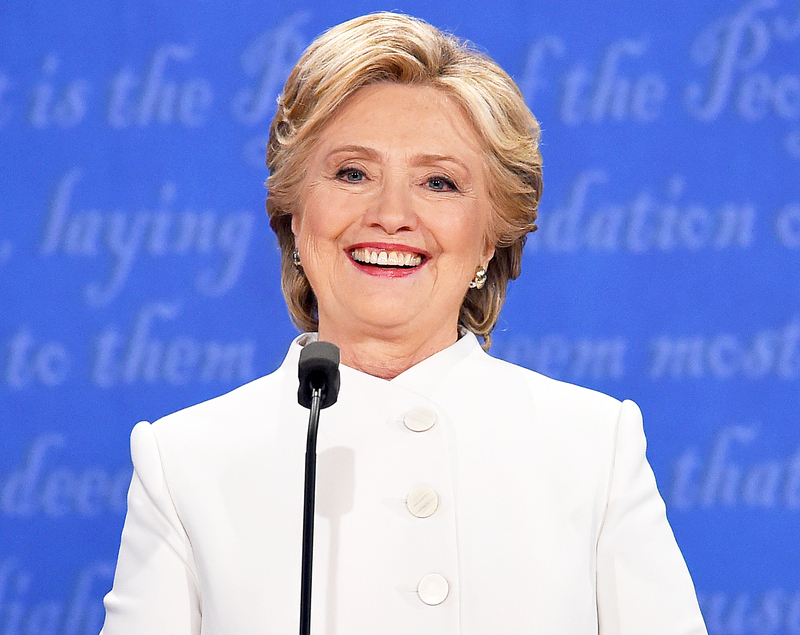 "Donald thinks belittling women makes him bigger," Clinton said during her two minutes on the subject. "He goes after their dignity, their self-worth, and I don&apos;t think there is a woman anywhere who doesn&apos;t know what that feels like. So we now know what Donald thinks and what he says and how he acts toward women. That&apos;s who Donald is." Trump then interjected that he does indeed respect women. "Nobody has more respect for women than I do. Nobody. Nobody has more respect," the businessman said, before again stating that "the stories have been largely debunked" and turning the conversation to Clinton&apos;s deleted emails. Watch the heated moment above.